Deconstruction of Shields Blvd. 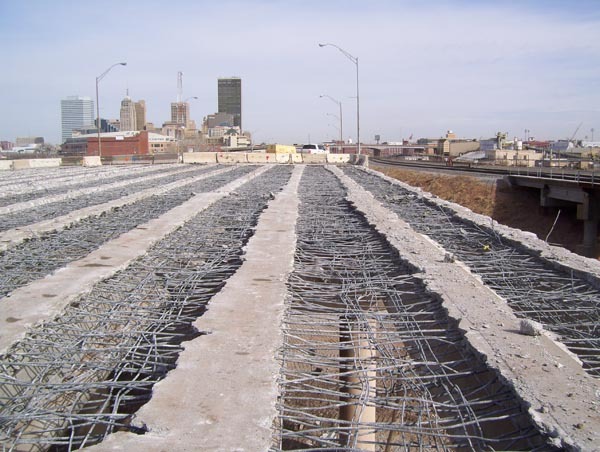 in Oklahoma City took place in order to replace this section with a new brige. 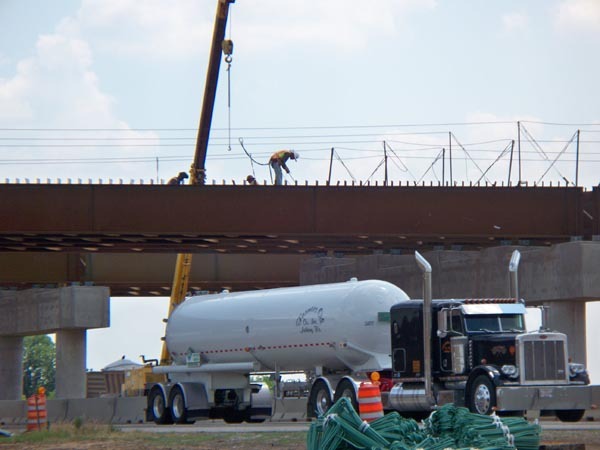 The new bridge was a portion of the new I-40 project in Oklahoma City. Durant Oklahoma is getting a new bypass on US 70. Workers weld pieces into the bridge supports. The road below remained open throughout construction. 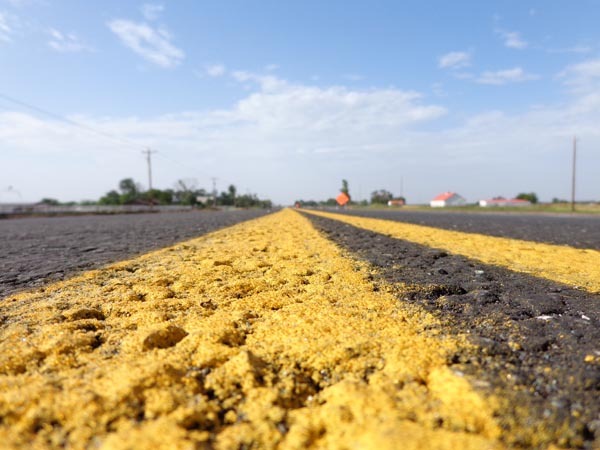 Fresh paint on an asphalt road has been put down on Western Ave. between 149th and 164th Street in Norman, OK.
Reinforced steel is laid out along this stretch of I-40 in Oklahoma City. 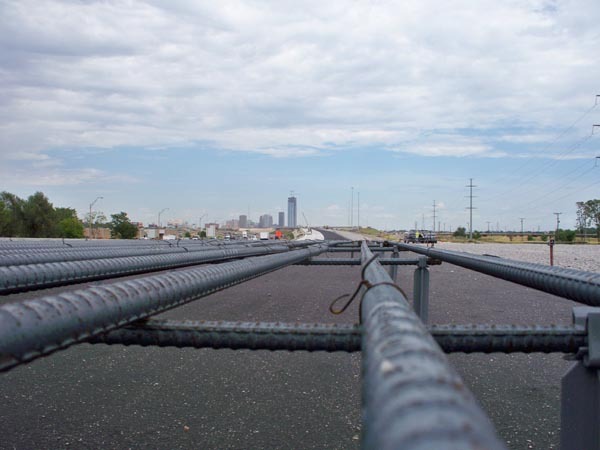 This section of I-40 stretches from May Ave. 2.5 miles east to Western Ave. into the heart of downtown Oklahoma City.